On Sunday, the Los Angeles Clippers announced that J.J. Redick will be sidelined 6-8 weeks with a fractured bone in his right hand and a torn UCL. Head coach Doc Rivers says Willie Green will start in place of Redick. This is a huge loss for the Clippers, as Redick was having a real solid start to the season. The 6'4" shooting guard was averaging 15.8 points-per-game, 2 assists-per-game and 2.2 rebounds-per-game. Redick was playing 28.2 MPG and shooting 46-percent from the field. 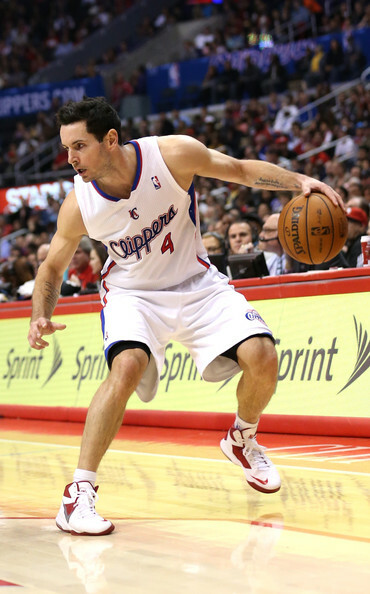 In fact, Redick scored in double-digits 15 times, and has drilled at least one three in every game this season. Although the Clippers have a 12-5 record, every game is important in the West, and without Redick for 6-8 weeks, scoring production is going to be a struggle. But, it's a real good thing the Clips have Jamal Crawford, who has really been stepping up his game lately.